It's a day that will cement this Galway generation into the pantheon or Limerick can end decades of hurt. Sunday's All Ireland hurling final comes down to a clash between the two at Croke Park and to preview the 2018 decider, Ger Gilroy was joined by past All Ireland winners Jamesie O'Connor and Shane McGrath. The former Clare and Tipperary players started by looking back at their own All Ireland final experiences, before turning their thoughts to Sunday's action. 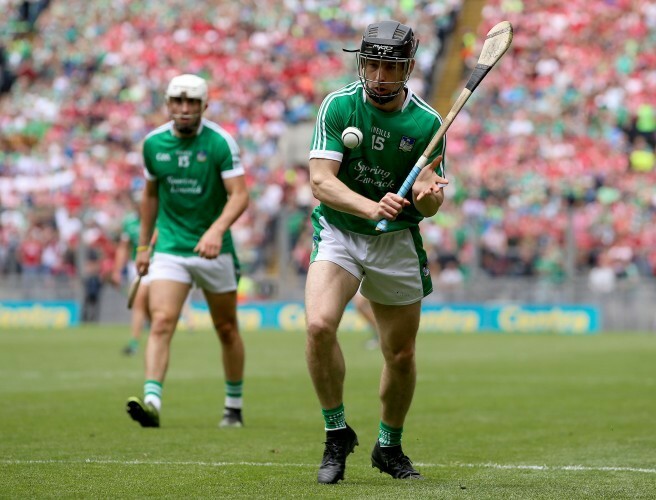 McGrath feels Limerick must try to avoid Galway setting the tone of the match and instead try and make the action as uncomfortable as possible for Micheal Donoghue's team. "You have to take Galway and take their leaders to a place where they don't want to be," he said. "I think where their leaders don't want to be is, and I'll take Daithi Burke for example if he's pulled out of full back which he's been so demanding in and been the best full back character that we have seen. "You need to take him where he doesn't want to go and where he doesn't want to go is right out to the sideline and that's maybe where Limerick might exploit it. "They might put Graeme Mulcahy on him and let Graham move out to the side but I think Galway would be very foolish to let Daithi Burke move left or right of that D I would say in front of the '21 and I'd say you'll see the likes of maybe Tuohy or one of these guys picking up Mulcahy. "Limerick are well equipped to kind of pull him around and pull him everywhere." He added that if Limerick try to match Galway physically, they won't succeed but by pulling the opposition defence around, they could profit.